MREI Membership has its Benefits! Full-time and part-time investors, beginning and seasoned investors, real estate brokers and agents, business associates, attorneys, accountants, property managers, contractors, renovation specialists, appraisers, bankers, and people such as you who want to enjoy the many benefits of Real Estate Investing. These meetings are the heart and soul of MREI. Every month, you have the opportunity to attend a monthly meeting, network with your fellow investors and business associates, plus have the opportunity to present your haves and wants and hear a guest speaker (local or national). Guest speakers are experts in a specific area of real estate investing. Again, since networking is so important in this business, we set aside ample time for networking at each meeting. Quarterly coffee events are hosted by our local vendors. This event is a Networking event that provides food, snacks and drinks. Network with fellow members and make deals, follow up on deals, exchange contact info, etc. Networking is an important and valuable aspect of investing. Increasing your knowledge and improving your skills will make you a successful investor. MREI hosts at least 9 workshops (or more) per calendar year. National Speakers who are the best in their field teach our workshops for 6-8 hours offering valuable knowledge and hands on training. This years workshop topics include; Buying and Selling Notes, Bookkeeping and IRA Planning for Investors, Marketing, Wholesaling, Rehabbing, Investing in Apartments, and Many More. MREI members receive discounted pricing on workshops! MREI has several local vendors who offer services or products to our members at discounted rates. Our vendors attend all of our monthly meetings. Stop by and say hello to our vendors at the monthly meetings and receive a free raffle ticket. Vendors have wonderful, useful raffle items at each meeting! MREI Members - looking for information from a specific vendor, contact our office for information. MREI members receive a free website. Update your website so others can get in touch with you. Members can also post properties to their website and have those properties emailed out to our entire list. The website makes it easy for anyone to contact you and get in touch regarding your property or other deals. MREI new members and renewing members receive a goody bag with books, magazines, national speaker dvd's and vendor discounts and information. Pick up your goody bag at our next monthly meeting. Ready to Access Your Membership Benefits? 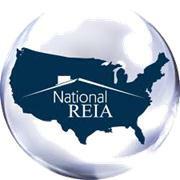 *** Membership in MREI includes membership in National REIA.